Well, I’ve been rather remiss of late with my blog, but that’s because we’ve had so many guests that I haven’t been experimenting with any new recipes. However, Bid and Paul came over from Hornby for our regular Friday Feast last week and brought us a truckload of berries–strawberries, raspberries, and the most glorious blueberries you’ve ever seen. 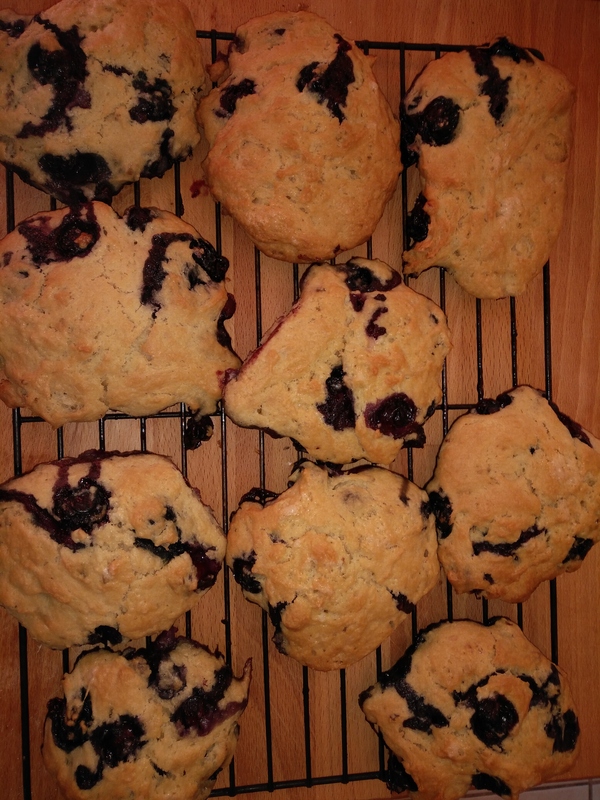 We ate them on Friday and Saturday and I made a huge fruit salad with them on Sunday, but we still had about four cups of gorgeous berries, so I decided to make a version of these Marionberry Lavender Scones from Post-Punk Kitchen. Now, if you recall, I am not a good dessert maker, nor am I a good baker (except for my bread, which I keep refining). 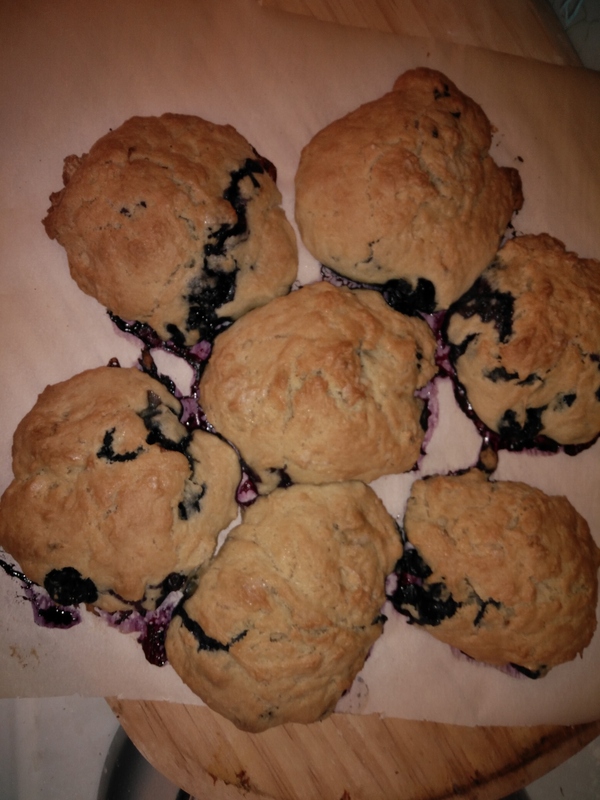 My mum was a master scone maker, and I LOVE scones, but mine always turn out like little hockey pucks. I did have some luck recently with this recipe for Rosemary Scones from OhSheGlows, but I consider that a fluke. 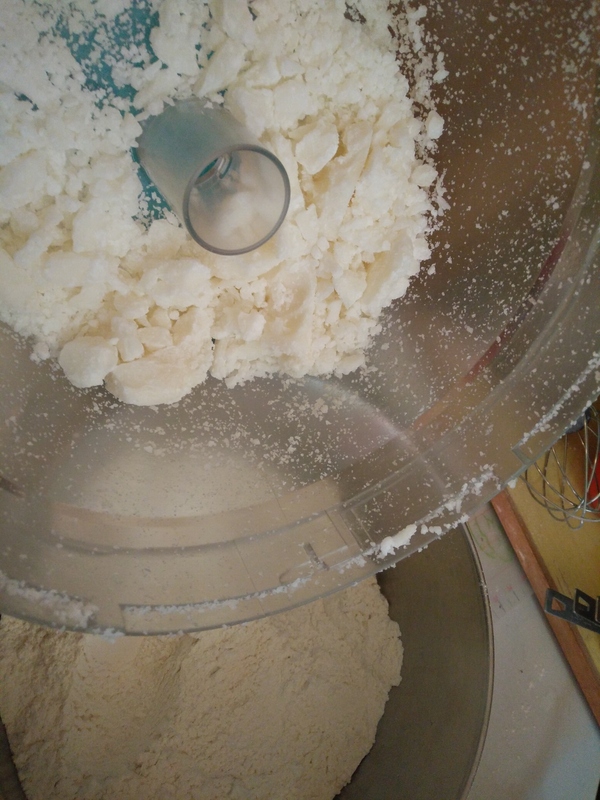 Once I was well into the recipe, however, I realized another reason I hate this kind of baking: it’s super labour intensive and it uses a shitload of dishes, bowls, measuring spoons, etc. Not really my kind of thing all around. Plus, there seems to be a much greater risk that what you’ve poured all this energy into will simply not turn out. 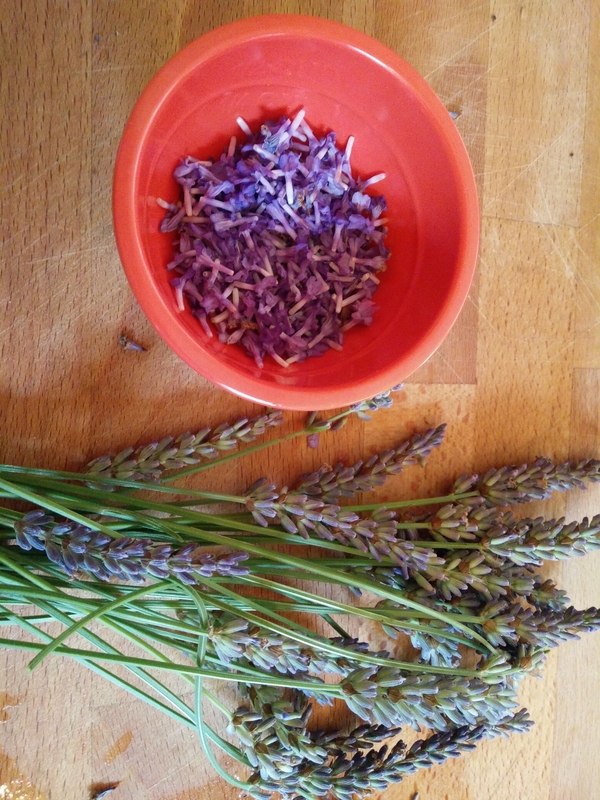 The first thing I did was pick some of my lavender, but I couldn’t figure out whether I was supposed to include the green bits or just the flowers, so I spent half an hour picking the tiny little flowers. As it was, I got only about half as many as I was supposed to have. Furthermore, in the finished product, you cannot taste, see, or smell the lavender!! 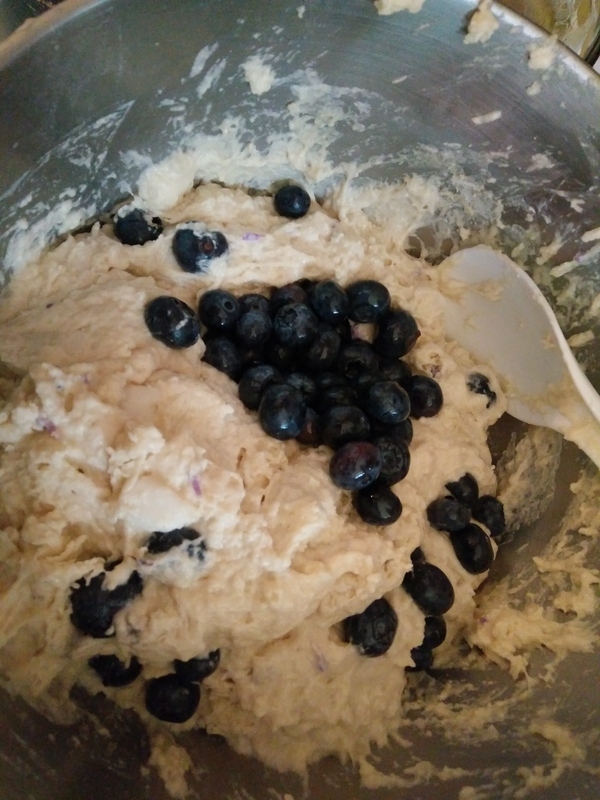 The blueberries were nice and firm, so I didn’t have to worry about them mushing up the batter into a purple nightmare (though I was realllly careful as I folded them in as well). Preheat the oven to 425 F. Line a baking sheet with parchment paper. Measure out the almond milk and add the vinegar to it. Set aside to curdle. Mix together the flour, baking powder, salt and sugar in a large mixing bowl. Add the coconut in small clumps, then use knives to cut it into the flour until it appears like small pebbles. Mix in the lavender. Create a well in the center and add the almond milk, oil and vanilla. Mix with a wooden spoon just a bit, then fold in the berries. Mix again until everything is moistened, but don’t over mix. 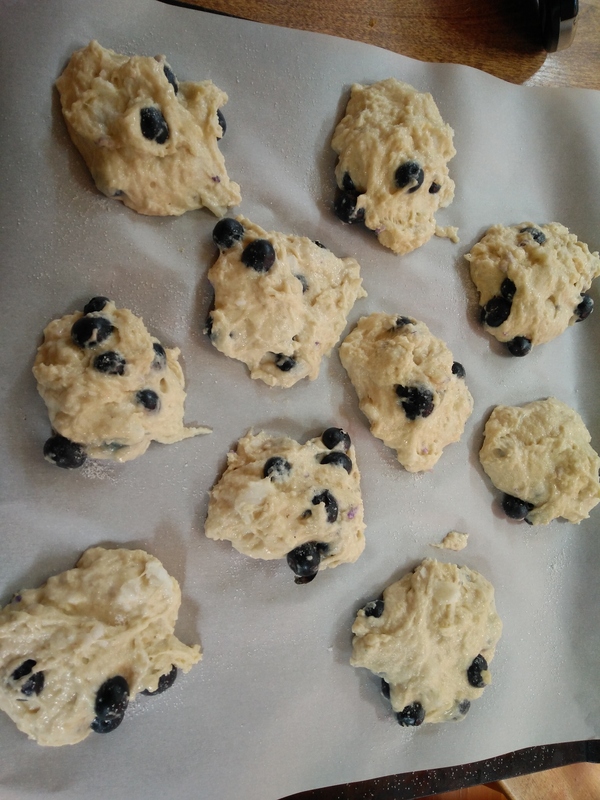 Use a 1/4-cup measuring cup to scoop the scones out on to the baking sheet. Sprinkle tops with a bit more sugar, then bake for 20 minutes, until tops are firm to the touch and lightly browned. Serve warm! So I baked the first batch at 375 for 20 minutes (according to the instructions on PPK), but they were nowhere near done, so I ended up baking them for TWENTY MORE MINUTES. Even so, they seemed a little underdone to me (though after they cooled, they were fine). 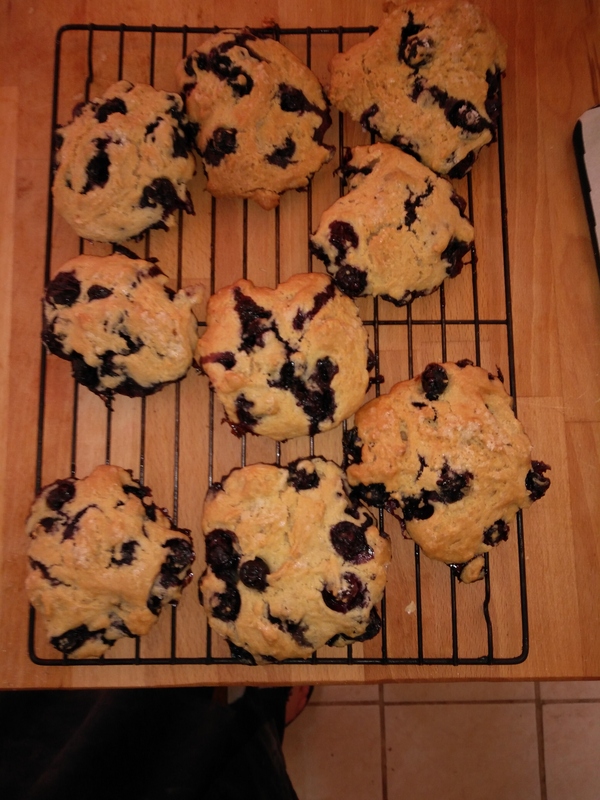 The ultimate result is fine, but just okay-fine, not the fine scones my mum used to make. These are a bit more rubbery–like the ones they sold in the cafeteria where I taught college for twenty-odd years. Update: These freeze brilliantly and have been getting rave reviews from Em and James, so I guess they were better than I thought!! And speaking of my mum, she called while I was baking these and told me not to peek in the oven before the prescribed cooking time was up or I’d ruin the scones. She got stuck in the walk-in bathtub at her senior living residence and THE FIRE DEPARTMENT HAD TO BE CALLED!!! Two strapping young firefighters had to lift my 92-year-old mum out of the tub!!! She was laughing her head off as she told me about it though, so I don’t think she was traumatized. Previous A Quick Lunch: Vegan Tostadas!